Ketan Patel is a Partner with F-Prime Capital and has worked in the healthcare sector as an investor, consultant, and physician. 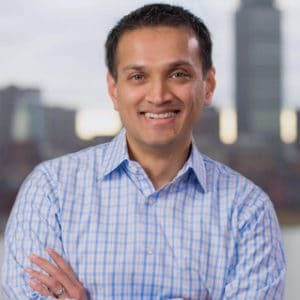 Prior to joining F-Prime Capital in 2007, Ketan advised biopharmaceutical and medical device companies on brand strategy, clinical development plans, and business development activities in the corporate consulting division of Leerink Swann & Company. He served as a physician at the VA Boston Healthcare System and at Weill Cornell Medical Center-New York Presbyterian Hospital and Memorial-Sloan Kettering Cancer Center where he completed his internal medicine training. Ketan focuses on investing in therapeutics and medical device companies and has served as a director of Aclaris Therapeutics (NASDAQ: ACRS), Amphora Medical, Avalyn Pharma, Eywa Pharma, Ivenix, Laurus Labs (NSE:LAURUSLABS), Medwell Ventures, Menlo Therapeutics (NASDAQ: MNLO), NextWave Pharmaceuticals (acquired by Pfizer), NFlection Therapeutics, and Vicept Therapeutics (acquired by Allergan).